Back – by popular demand in Eagle County, Colorado. 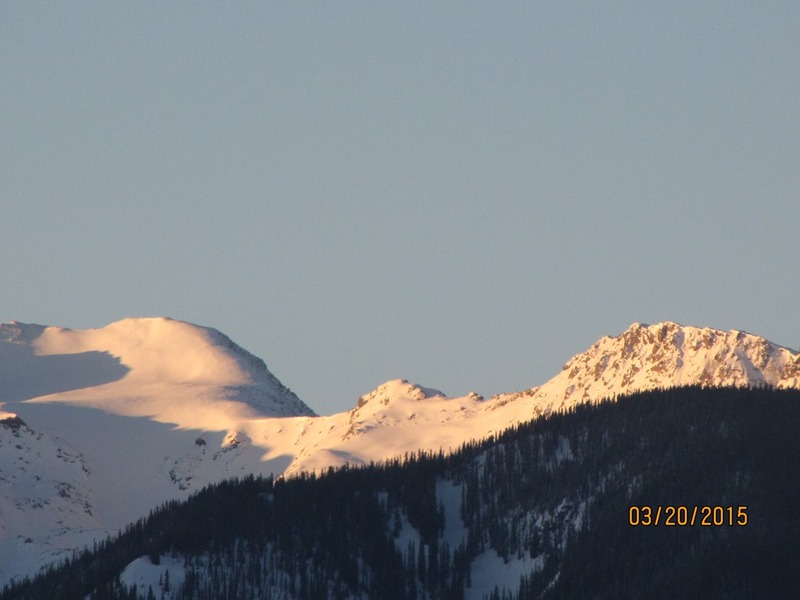 The first day of Spring 2015 arrived on a clear morning’s Sunrise on Eagle County’s Sawatch Range. A fun place to find some tracked powder…if you can figure out how to reach it. Just CLICK ON the ECT photo to enlarge it.